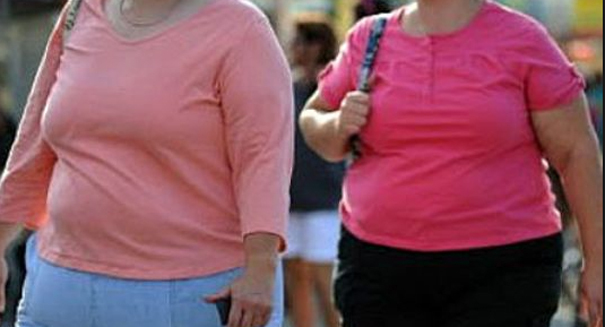 Obesity is linked to ovarian cancer, according to a new study. Obesity is a health concern in of itself, but a new report suggests that obesity can increase a woman’s risk of developing ovarian cancer. The report, released by the American Institute for Cancer Research and World Cancer Research Fund, is the first of its kind to suggest the link between obesity and ovarian cancer. Researchers explain that as little as a five point increase in a woman’s body-mass index can increase her risk of developing ovarian cancer by 6%. Body-mass index, or BMI, is based on a person’s height-to-weight ratio. The National Institute of Health states that a BMI of 30 in a woman constitutes obesity, and that women with a BMI of 25 or higher should be concerned regarding their weight. With an estimated 22,400 cases of ovarian cancer cases diagnosed in the U.S. each year, and 14,000 of which result in death, maintaining a healthy BMI could serve as the preventative cause of cancer in many women. However, while evidence from the research suggests a reduced risk of ovarian cancer development in women who maintain a healthy weight, a healthy BMI doesn’t necessarily serve as immunity to the disease, especially in people who come from families where there is a history of ovarian cancer. In addition to ovarian cancer, the National Cancer Institute says that obesity can also contribute to the development of postmenopausal breast cancer and tumors of the colon, uterus, esophagus, kidney, thyroid, pancreas and gall bladder. Researchers say that maintaining a healthy weight isn’t just beneficial to a person’s overall health, but that maintaining a healthy BMI could prevent the development of more than 120,000 cases of these cancers per year. And, in addition to reducing the risk of the development of certain cancers, maintaining a healthy body weight also reduces the risk for diabetes and heart disease.